To shoot landscape photos that are sharp from foreground to infinity, you must focus at the "hyperfocal distance" for the focal length and aperture you're using. Lenses from 10mm - 85mm. Apertures from f/4 - f/22. Distances are given in feet. 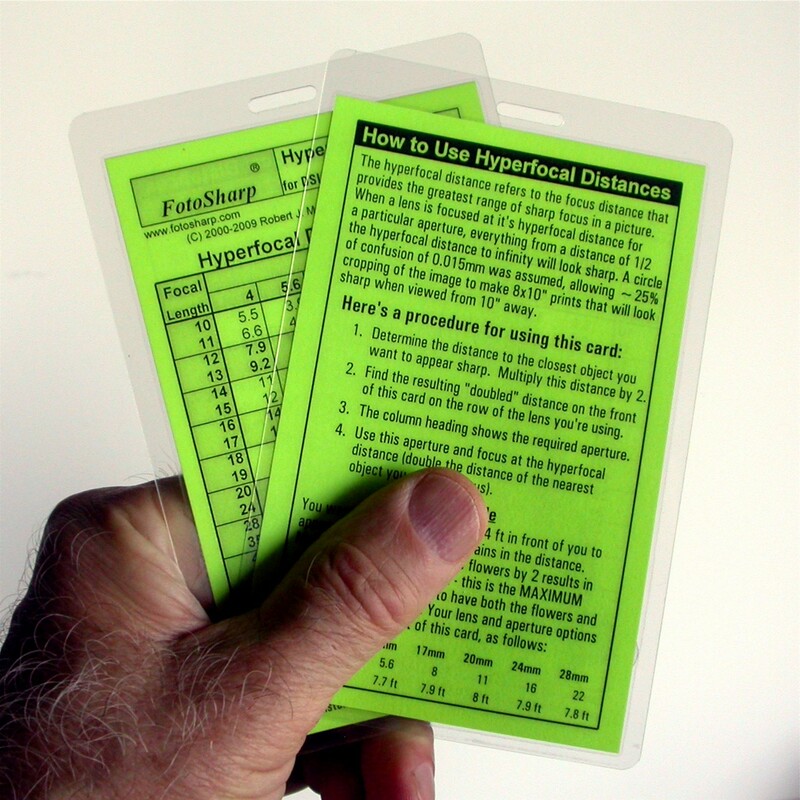 Instructions and examples for using hyperfocal distances are included on the card. For more info on depth of field, click here for a Depth of Field Discussion. Our full 20 card cheat sheet set. For use with all cameras with manual controls. Shoot at Night! Your camera's meter is calibrated for "18% grey" so it doesn't work well for many scenes, especially at night. This handy guide will help you set the exposure you need.